Under Construction. Under Construction! 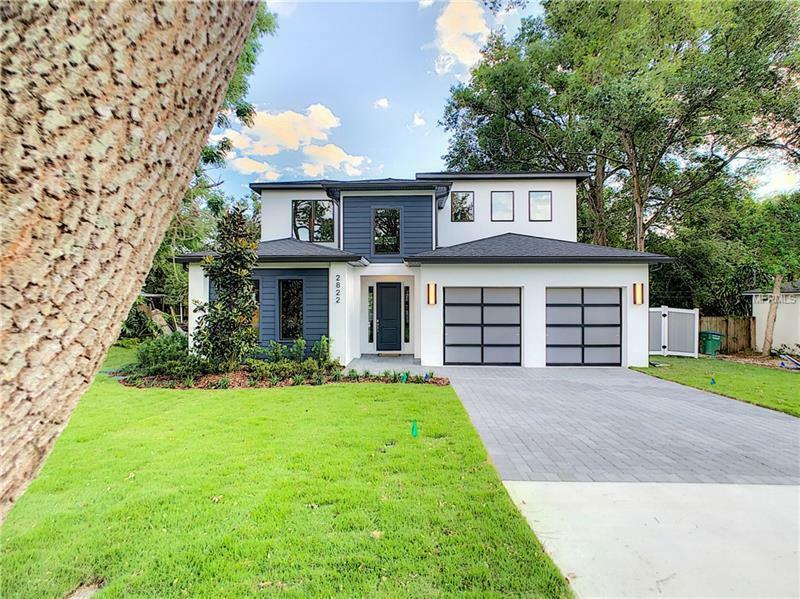 One or more photos have been virtually rendered.This two-story contemporary home features 4 bedrooms 3 full and one half bathrooms throughout more than 3400 square feet of living space. With an open floor plan this residence embraces natural light and features a vaulted foyer with a glass railing staircase and beautiful sliding glass doors that frame the outdoor living area. Enjoy the serene view of the home's pool which sits just beyond the covered lanai and summer kitchen. The home was designed to allow for an ideal flow between the indoor and outdoor living areas perfect for large gatherings or private moments of relaxation. The main living space is highlighted by a spacious kitchen dining and living room all which offer direct access to the lanai. A sleek modern kitchen features gas appliances and an eat-in center island. The downstairs master suite is connected to the covered lanai and pool area and features a large walk-in closet complete with a full sized washer and dryer. The modern master bathroom showcases high-end finishes with a free-standing tub walk-in shower and a double vanity. The second level of this home is complete with three bedrooms a large loft and full laundry room. Additional features include a private office custom closet systems and a two-car garage with an electric vehicle charging station.